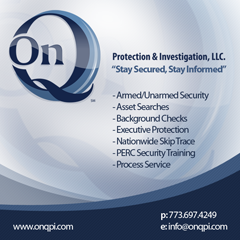 On Q Professional Investigations defense investigators are former Federal and State law enforcement officers with the knowledge, skills, experience and training to provide professional criminal defense investigations. While all criminal cases do not require the services of a professional investigator, in those that do, the investigator is one of the most important members of the defense team. The investigator has several different, but equally important functions in preparing for an effective defense to the government’s charges. There are three important questions a criminal defense attorney must ask regarding a case. What are the complete facts surrounding the crime my client is accused of? Can I mitigate the sentencing on this conviction? What was missed during the original investigation that can bring post-conviction relief to my client? A criminal defense attorney needs to know exactly what happened during the commission of the crime for which the defendant has been charged. When conducting a factual investigation, without the assistance of an experienced professional investigator the defense attorney may not be able to counter the resources of the prosecution team in order to establish reasonable doubt. To accomplish this effectively, the investigator must have the training and experience allowing him to recognize where any law enforcement errors or omissions have occurred and to assure that all proper procedures were followed during the police investigation. The investigator must talk to each witness, review all the evidence (physical, verbal, video/photographic, etc) that was accumulated by the prosecution. In conducting witness interviews, the investigator must have the knowledge, skills and abilities to do effective interviews. This means that the investigator must be knowledgeable about the case and skilled in interviewing techniques including utilizing cognitive, kinesic and other interviewing methodologies. Reduce Charges and Sentencing: If actual innocence is not available, you may learn factors in your client’s history to establish mitigation leading to reduced charges or sentencing.